Our beautiful solitaire diamond rings come in white gold, yellow gold, rose gold or two-tone gold. All at wholesale prices that cannot be beaten. So that big day is here, the decision is made, the question is ready and all you need is the engagement ring. CaratsDirect2U is here to make your engagement a truly special occasion. 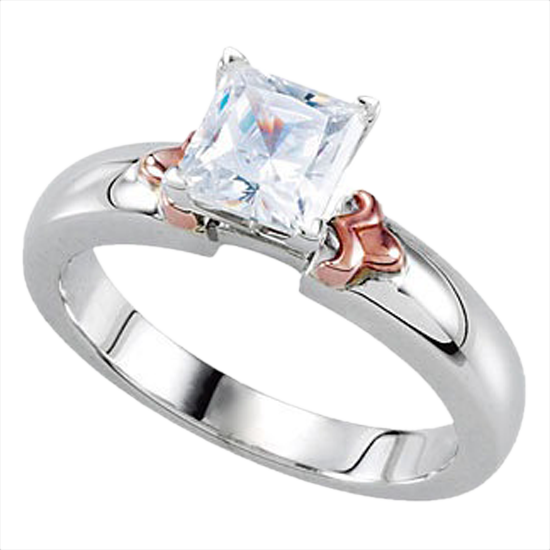 We offer a large variety of solitaire diamond rings in many different shapes, sizes, colors and clarities. Our shapes range from the classic round and the always popular heart shape. All of our solitaire diamond engagement rings come set in either 14 karat or 18 karat white, yellow, rose or two tone gold. Most popular is the always fashionable and classic Tiffany setting. Our diamond engagement rings come in a wide range of colors ranging from D – M color and FL to I3 clarity. Our sizes range from under half a carat to over five carats.